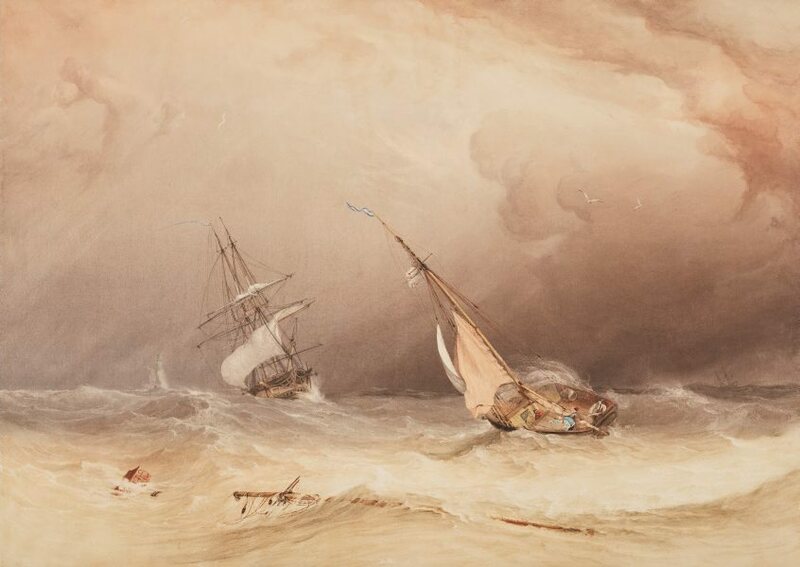 Signed and dated on broken mast, "Copley Fielding 1826". Mrs Haldimand, pre 1861, London/England, her sale, Christie's London, 21 June 1861, no 68, sold for 94 gns. Mr James Morris, pre 1883, London/England, his sale, Christie's London, 3 March 1883, bought at the sale by 'Isaac' for ₤157.